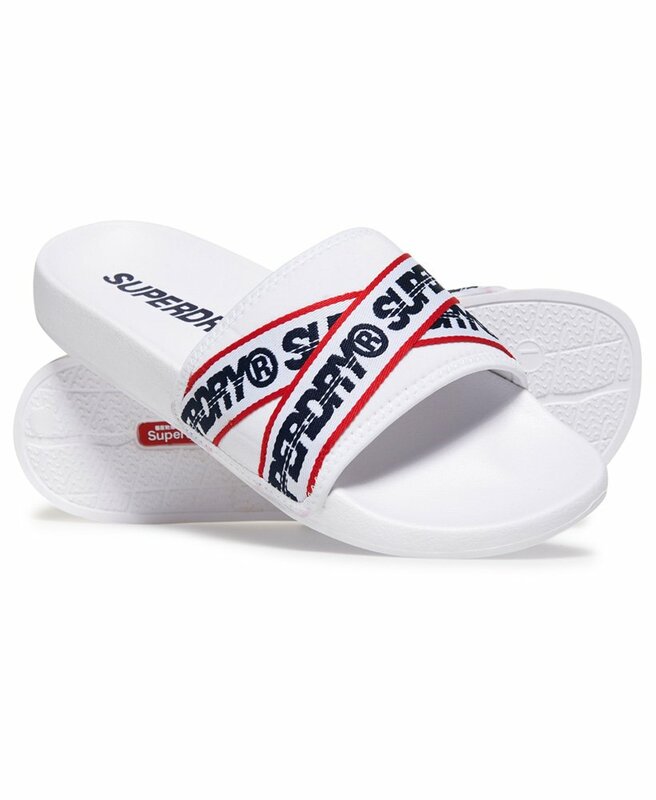 Superdry men's City beach sliders. A must have summer shoe, these sliders are your poolside essential. Lightweight in style, they feature a wide front strap, moulded sole for your comfort and branded taping across the front. The sliders are completed with a logo design on the sole.